The LX468 is equipped with a wide 46" cutting deck and 22 HP 725cc Kohler Courage Twin Cam engine. It comes standard with a comfortable high-back seat, electric PTO, durable front bumper, cruise control, hourmeter and deck wash-out ports. Easily add an attachments such as cart, twin-bagger, or snow thrower, making it an all-season helper. 46" (116.8 cm) 2-blade Cutting Deck- With a 46" (116.8 cm) deck, you will be able to get into tighter spots than larger decks but still quickly cover the wide open areas. Hydrostatic Drive- Continually vary your mowing speed with an easy foot pedal control. 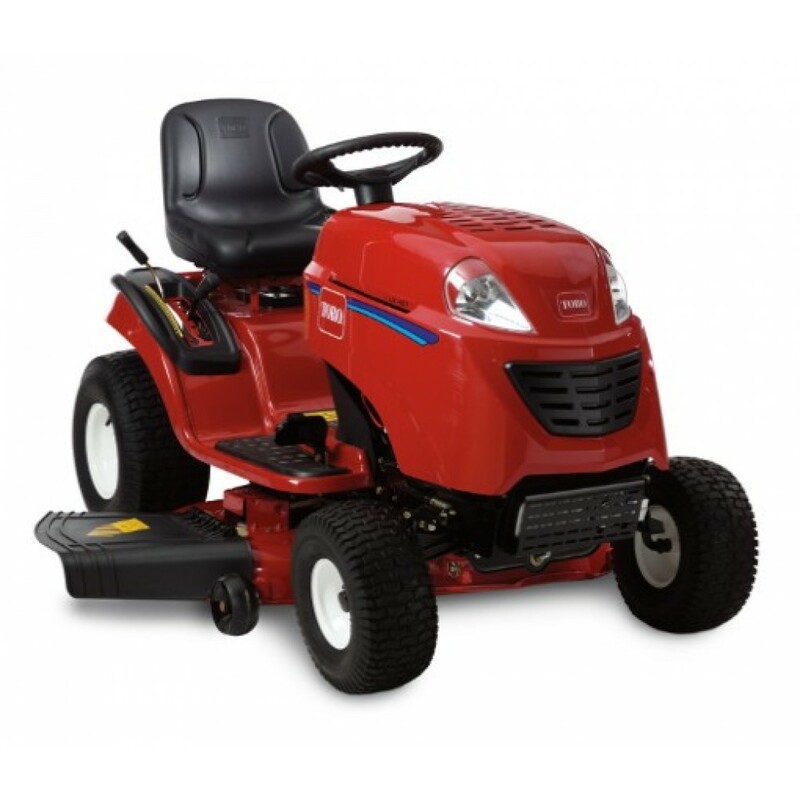 The LX tractor powertrains are designed to provide comfort, control and reliability. 15" (38 cm) Turning Radius- The Toro LX Series of tractors have a 15" (38 cm) turning radius for exceptional maneuverability. Deck Washout Ports- The deck washout port is a convenient way to clean the bottom of the deck - maintaining optimum airflow for high performance.